Five New Zealanders, including Mike Webber and John Veale, awarded Honorary Residency of the Cook Islands for outstanding service over many years in the arena of health to thepeople. 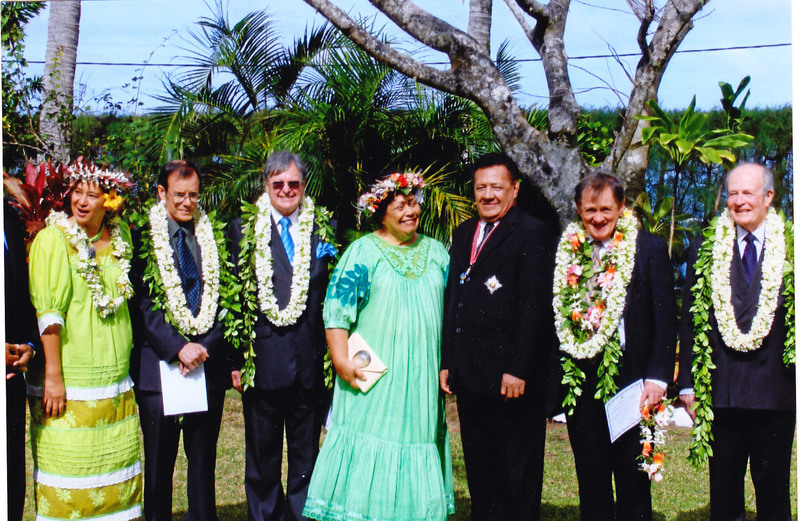 Photo taken at the Queens Representatives House: Left to right: Liz Iro (Sec Health), Bob Eason (Physician CMDHB), Vealy, Lady and Sir Frederick Goodwin (Queens Rep),Andrew MacDiarmid (Orthopaedic Surgeon, Tauranga), Mike. Missing Paul Rosser (Eye Surgeon, Auckland). This entry was posted in General interest, New Zealand, Pacific region, People. Bookmark the permalink.